4 teeth per chipper for super smooth flat bottom dadoes. 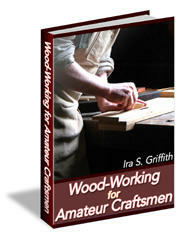 When we listen to woodworkers, we understand what you mean -1- after all, we are woodworkers! You told us you needed a dado to cut plywood, solid wood, hardwood veneered plywood, lamlnatesand melamine chip-tree. You told us that It needed to cut precise slots and maintain accuracy. And it especially needed to accommodate today's undersized plywoods. So we engineered a dado thai would not only meet your needs, but would surpass your expectations. First we started with our superior tri-mefel grazing to bond a special tooth design to an extra stiff blade body. You wanted dadoes with super smooth flat bottoms so we Included 4-wing chippers. You said you hate it when chips build up In the chippers, so we perfected a gullet which ejects the chips. And then we eliminated the hub on the outside blade so chips cannot build up between the blades. The Super Dado will cut all your materials chip-free with a dado so smooth, you'll hate to cover it up. High Point, NC 27264 • 800-472-7307 new dad0' V00 11 a9ree that ,f real,Y IS a width of the cut for today s undersized plywood. 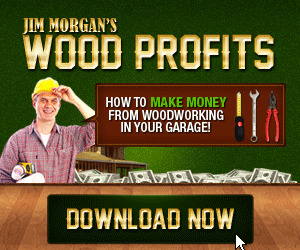 Can you be a full time professional Woodworker?